Discussion in 'Guitar Emporium Archive' started by Maven, May 7, 2016. 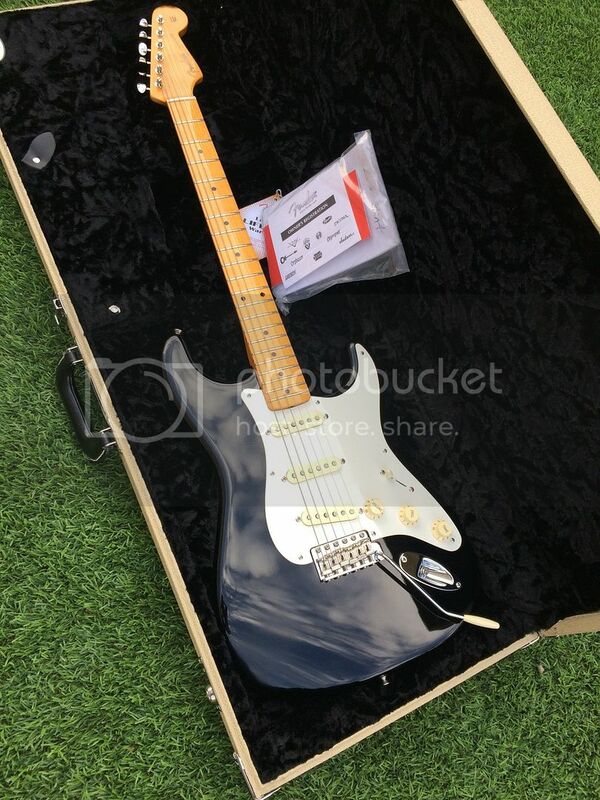 2016 Fender Eric Johnson Stratocaster. Killer guitar, a bit of hazing where the arm contour is and a small quarter inch dent in back. Other than that, it's perfect. Played just a little around the house. All original, no mods. Only a few months old. Custom shop quality strat! Includes OHSC, paperwork. $SOLD Shipped and PP.